By now, most-everyone in Florida has heard about the tragic accident at Tampa Electric, where three workers suffered from severe burns and died—and others were left injured—when a molten substance known as slag gushed from a tank while they were on the job. The history of incidents at this particular facility has led to some important questions and sparked concerns: to what extent is something like this an innocent accident if it’s happened many times before? A recent report reveals that nearly half of all Florida power plant deaths have been linked to this same company, Tampa Electric. According to experts, power plants are actually generally safe in comparison to other industrial operations. Although there are some hazards regarding the presence of high-pressure steam and dangerous liquids, federal data indicates that workers are far more likely to get hurt on a construction site or in a factory than in a power plant. However, no other utility company has had more deaths than Tampa Electric. The company makes up nearly half of all fatalities at Florida power plants since 1997 even though it covers less than 10 percent of all households in Florida. And this just applies to accidents where fatalities were involved; there have also been other accidents there, where workers have been sent to the hospital for burns and gas poisoning, for example. So what does that say about Tampa Electric? There are some indications that the company has some serious negligence issues when it comes to ensuring worker safety. While it is always difficult to predict settlements associated with personal injuries, because one of the most important factors is the severity of the injury, burn injury claims do sometimes lend themselves to higher settlements due to the pain and permanent scarring involved. 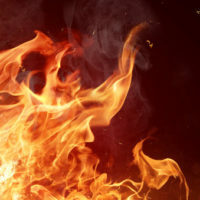 Other important factors include how and where the burn injuries occurred in terms of just how responsible the defendant could be found at trial. In the case of Tampa Electric, all of the information that has been released thus far indicates that the workers who were injured and/or killed were doing their job correctly, indicating that Tampa Electric could very well be found liable for these workplace injuries, and may have been negligent in maintaining the equipment that led to the spill and/or in providing training and safety equipment to the employees. If you or a loved one has suffered from a burn injury due to negligence—either on a worksite or elsewhere—contact our office today for a free consultation to discuss your options. While nothing can make up for these kinds of injuries and losses, the Fort Lauderdale burn injury attorneys at Friedland & Associates can work with you to obtain the compensation you and your family need to address any injustice.